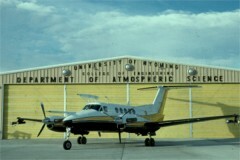 The Donald L. Veal Research Flight Center is operated by the University of Wyoming Department of Atmospheric Science. 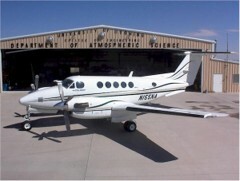 Our Beechcraft King Air 200T (N2UW) is the third atmospheric research aircraft we have operated since the mid 1960's. We also operate a transportation aircraft for the University. Our Beechcraft King Air B200 (N200UW) is available to University employees and guests for transportation within the region. For further information please see our transportation page.